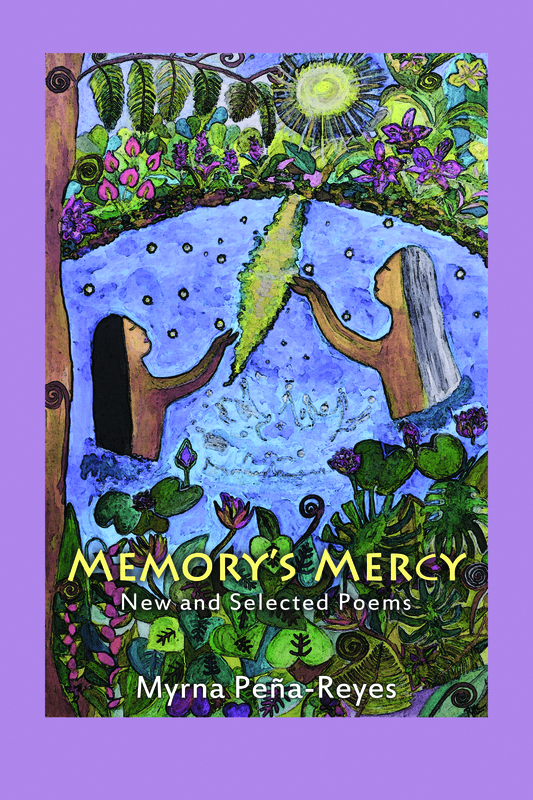 Memory’s Mercy: New and Selected Poems is the third poetry collection of Myrna Peña-Reyes whose previous collections are The River Singing Stone (Anvil, 1994) and Almost Home: Poems (UP Press, 2004). This new collection contains new poems written after she retired with her husband in her hometown of Dumaguete City in 2005 after living abroad for thirty-four years. It includes thirteen selections from the out-of-print The River Singing Stone that was nominated for the National Book Award. Born and raised in the Philippines of Ilocano stock but Visayan upbringing, Myrna Peña-Reyes was educated at Silliman University from elementary through college (BA English) and the University of Oregon (MFA in creative writing). While a resident of Eugene, Oregon where she lived with her husband, William T. Sweet, she was a winner of the Oregon Literary Fellowship grant for poetry (2002) from Literary Arts. Presently retired in her hometown of Dumaguete, she continues her volunteer affiliation with Silliman University’s literature and creative writing program. Her poetry collections are: Memory’s Mercy: New and Selected Poems (2014), Almost Home: Poems (2004), and The River Singing Stone (1994).